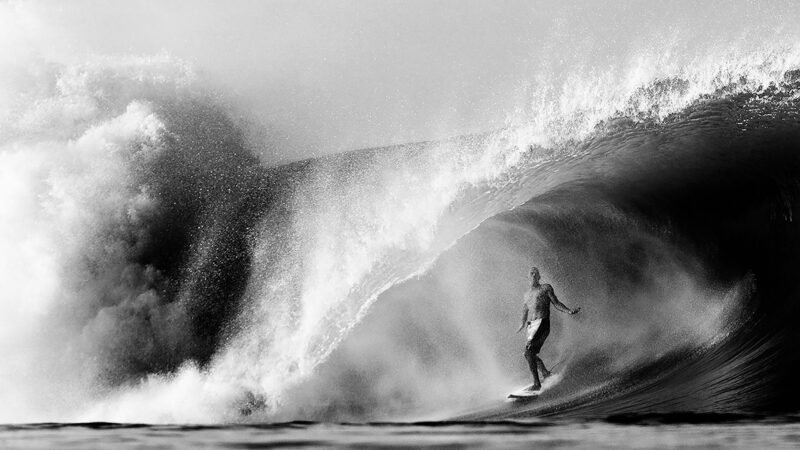 The Idea Rebel team developed an online contest called #ONLYKELLYCAN, a collaboration between Quiksilver and GoPro. 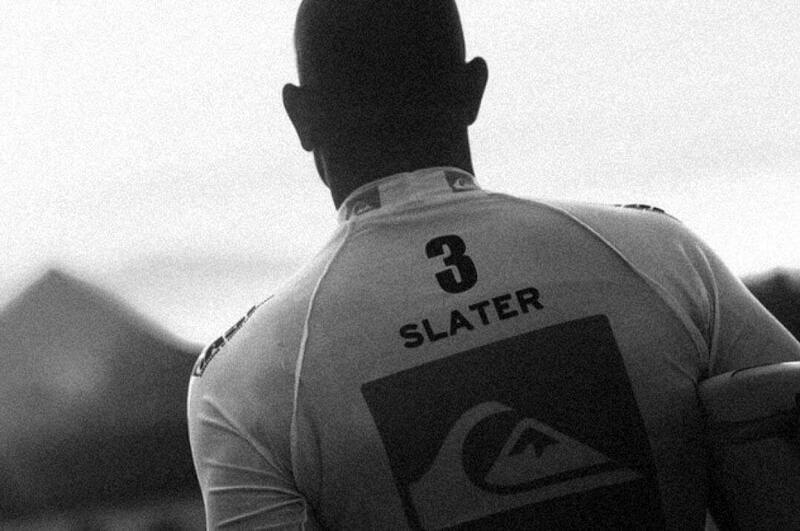 The contest was in support of Kelly Slater, eleven-time World Surfing Champion hoping to win the 2013 Pipeline Masters on December 8th to secure his 12th ASP World Title. 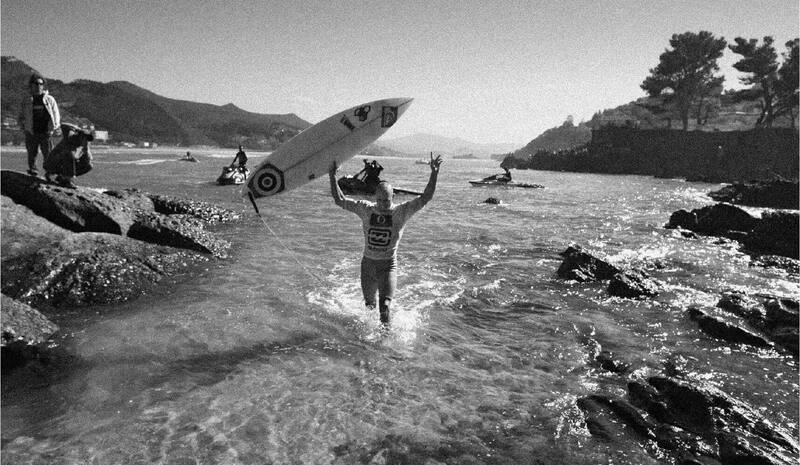 The #ONLYKELLYCAN social media marketing campaign asked users to show their support for Kelly by posting a photo showing what surfing meant to them via Twitter, Facebook or Instagram. 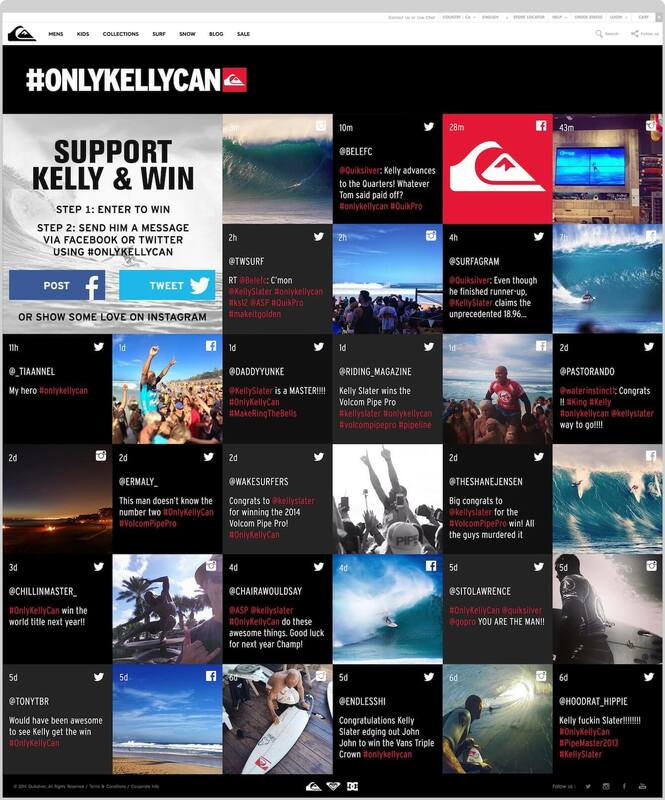 Users used the hashtag #ONLYKELLYCAN, tagging GoPro and Quiksilver with their photos. They could also take it one step further by submitting a GoPro photo that encompassed what surfing meant to them. The grand prize winner was chosen by Kelly Slater himself, with GoPro donating $1 for every entry to Waves for Water, to help with disaster relief from Super Typhoon Haiyan in the Philippines.